In 2002 this compact, 350 seater opened with Taboo, Boy George's musical trawl through Thatcher's 80s and his own turbulent career, a production that ran for well over a year. The Leicester Square Theatre seems to have succeeded in carving out a niche for itself amongst the many grand Edwardian playhouses and cavernous auditoriums of London's Theatreland. The award-winning troupe presents the story of Shakespeare's wildest lovers, complete with a single drunken thespian thrown into the mix. Controversial humour as the taboo-busting stand-up tries out new material that is guaranteed to offend those of a nervous disposition. Interactive theatre shows for young children. A classic murder mystery is created on the spot in this ingenious and hilarious show from Bristol Improv Theatre's resident company. Miss Crimson poisoned in the parlour? Mr Gold exploded by cannon in Sainsbury's? You decide! But will you guess whodunnit? And for your Sunday night entertainment, don't forget our additional late night shows! The sell-out comedian relays his frustrations at being called a millennial. Get ready to moonwalk the night away at a show whose star performer Navi once earned a standing ovation from Michael Jackson himself. The Britain's Got Talent 2018 finalist shares music, spoken word and comedy. Featuring Josh Widdicombe, Kerry Godliman, Edinburgh Comedy Award winner John Robins, Jess Robinson, Laura Lexx, Dane Baptiste, Sarah Keyworth, musical comedy duo Flo and Joan, Bec Hill, sketch troupe Giants and MC Abigoliah Schamaun. Stewart Lee headlines the fourth annual comedy fundraiser for community charities North London Cares and South London Cares. He is joined by Felicity Ward, Harry Hill, Jamali Maddix, Lolly Adefope, Martin & Vivian Soan and Shazia Mirza. What are the best dining options near Leicester Square Theatre London? Leicester Square Theatre gyms, sporting activities, health & beauty and fitness. The best pubs near London Leicester Square Theatre. 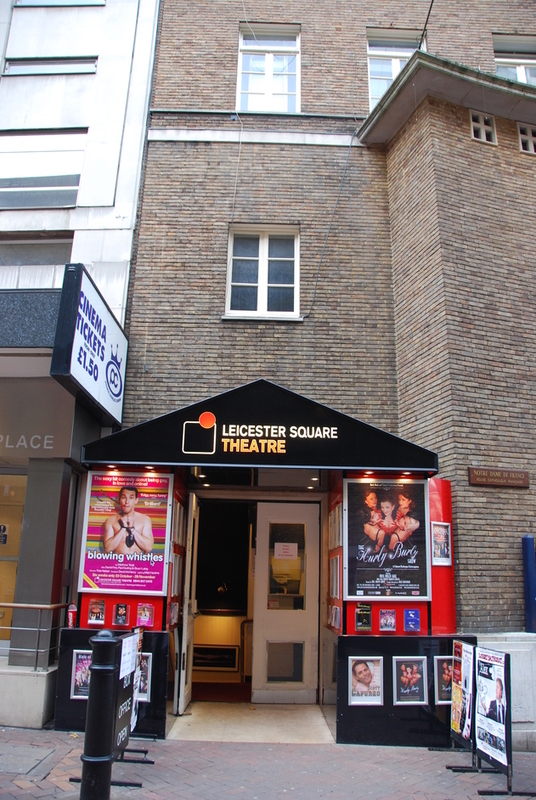 Leicester Square Theatre clubs, bars, cabaret nights, casinos and interesting nightlife. Where to have your meeting, conference, exhibition, private dining or training course near Leicester Square Theatre. From cheap budget places to stay to luxury 5 star hotels see our discounts for Leicester Square Theatre hotels, including Thistle Trafalgar Square, The Royal Trafalgar from 78% off.